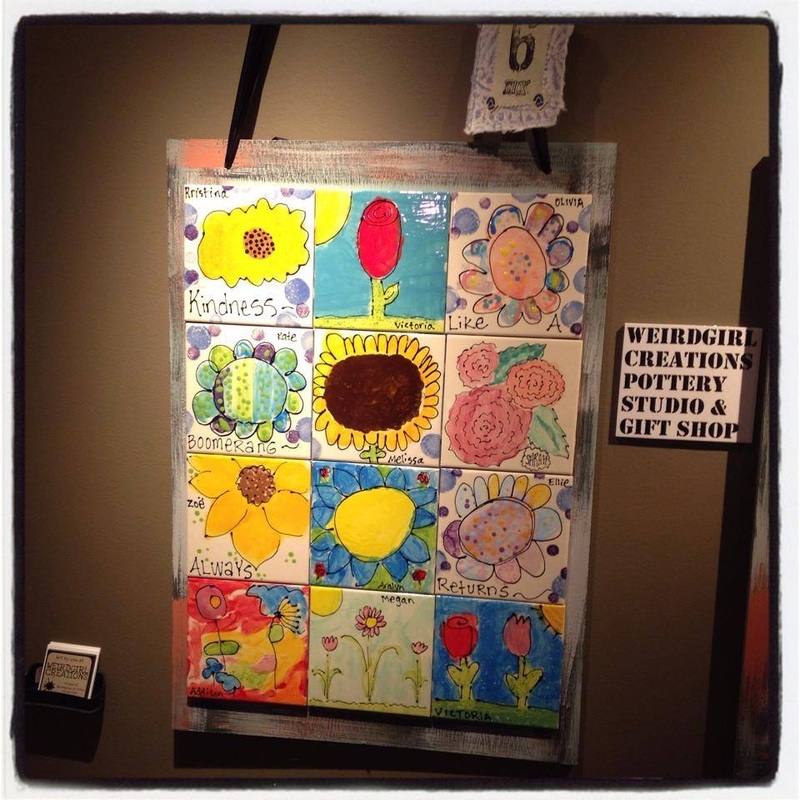 Raise money for your school or other organization by selling personalized tiles created by students, parents, teachers, family and community members. Very similar the experience in our paint your own pottery studio! Have us install them in groups of 12 or 16 tiles on plywood, ready to hang and decorate your facility, or have the tiles fixed directly to your wall. Tiles may be used inside or outside, all weather resistant. All schools and organizations that we have worked with have benefited financially with this event. You choose your profit by choosing your mark up. 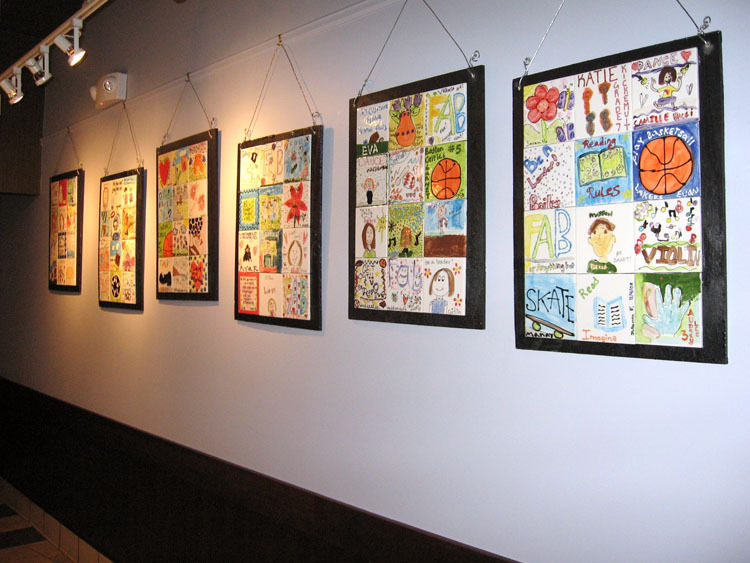 Project based fundraisers are a community moral booster in the act of creating and years of enjoying the art tile mural! This price includes overglazing and firing, you will purchase glazes of your choice for $3 per 2oz container for small groups, and we can recommend a pallet of 6 colors that works well. Pints of glaze for large groups are $10 each. 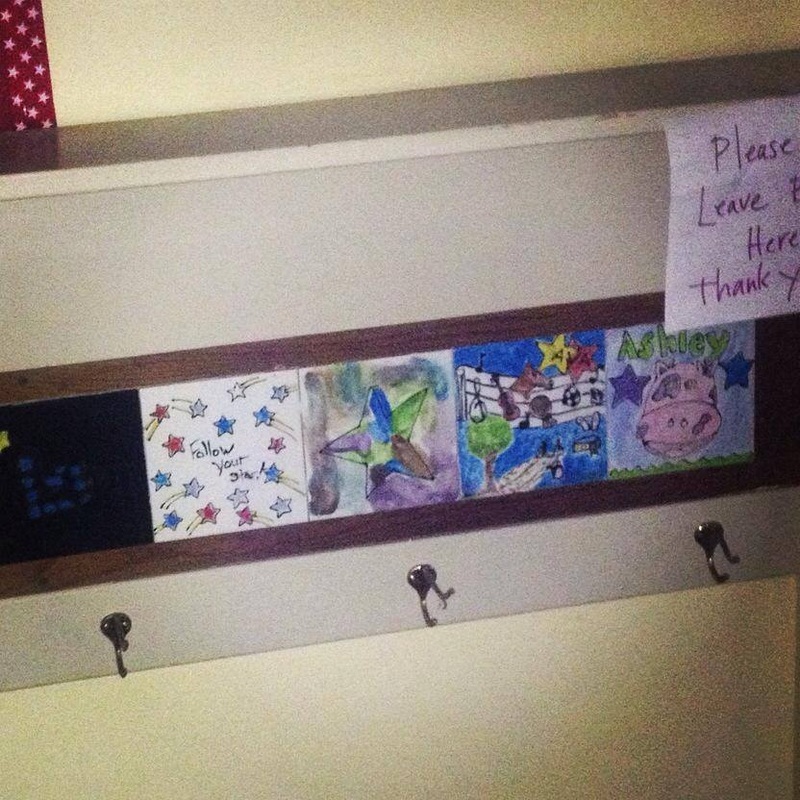 Borrow trays with a deposit. Looking for something different? College event? Team building? Ask about bulk pricing for mugs, plates, bowls or something custom to your event. We can often offer reduced pricing. PAYMENT IN FULL is required 2 Weeks prior to your event for us to order product. We cannot place orders without payment in full as pottery is not returnable to our distributors once shipped. Thanks for understanding. *If you need to borrow brushes or paint trays we charge a deposit of $1 per brush or tray. Deposit is refunded upon return of materials. *If you choose we will glue the tiles to painted plywood backing and add wire for hanging or holes for indirect installation onto your walls. 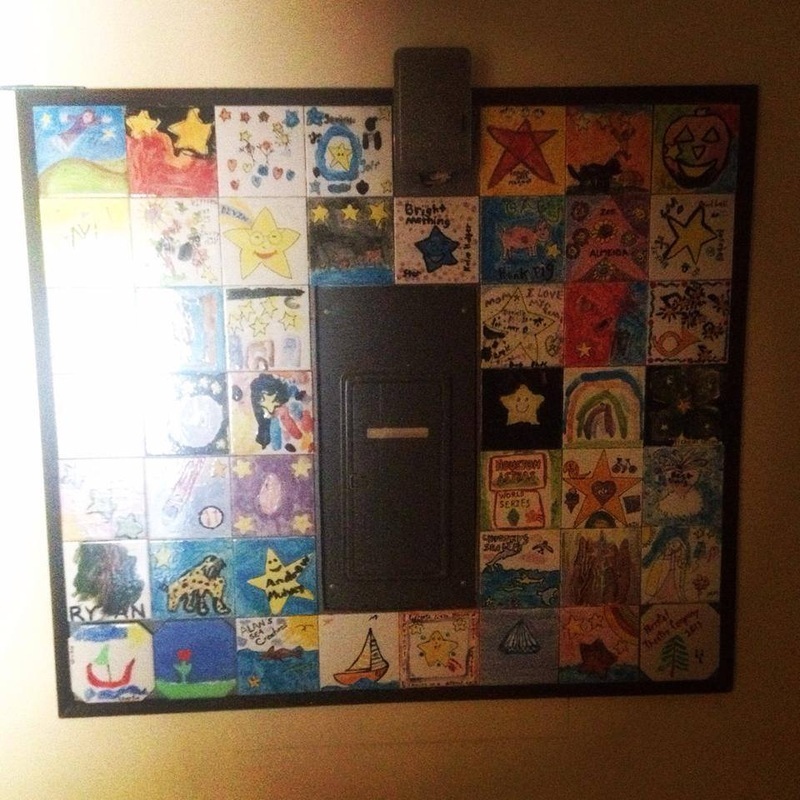 We like this because so many times a school moves or closes and the tiles are permanently fixed to the wall and cannot be salvaged. See pricing below for labor and materials. Or if you are hand you can always do this yourself! responsible for organizing the event- Individual tiles may not be picked up by their respective painters. We can design custom tiles with your logo and contributor names starting at $15 per tile. 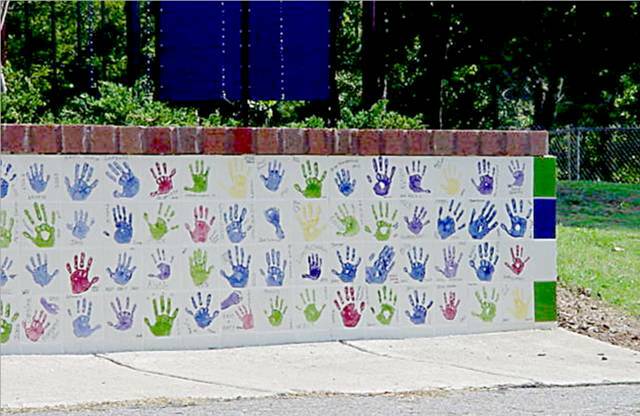 You can also have the tiles designed by students either with hand prints or self portraits. Keep the designs simple as they show up better from a distance. Add student names or sponsor names. *Please keep in mind that tiles to go do not allow for time in the studio to further work on your project. Tiles must be completed at your event and returned to us ready to overglaze and fire. *If you need to come to the studio to work we do charge a sitting/glazing fee of $10 per person per hour. 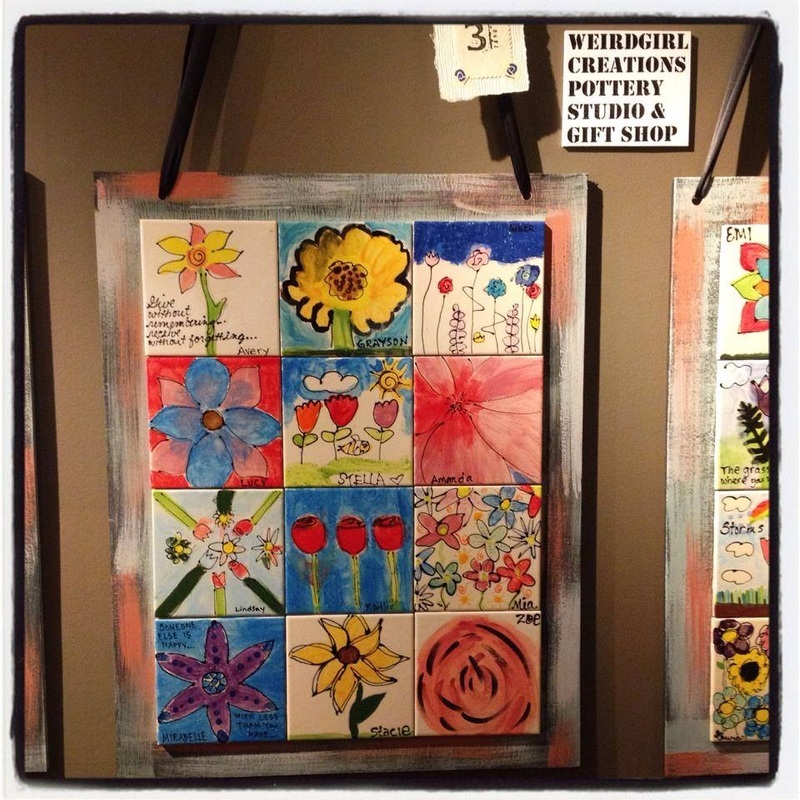 *If you wish to bring your group to the studio to work on hand stamps on tiles or self portraits on tiles we give 1/2 hour of studio time for each tile and only the people who are painting would be visiting the studio. We do not offer space to bring parents or friends of painters to observe. We would however encourage you to participate in the pottery painting experience and if you are in the studio purchase a piece of pottery and paint : ) Much more fun than watching! yourself at the time of your event. name/room # on the outside. install tiles directly to walls and you need to renovate or move it would be impossible to keep the murals. If the tiles are on movable plywood you can take them with you. 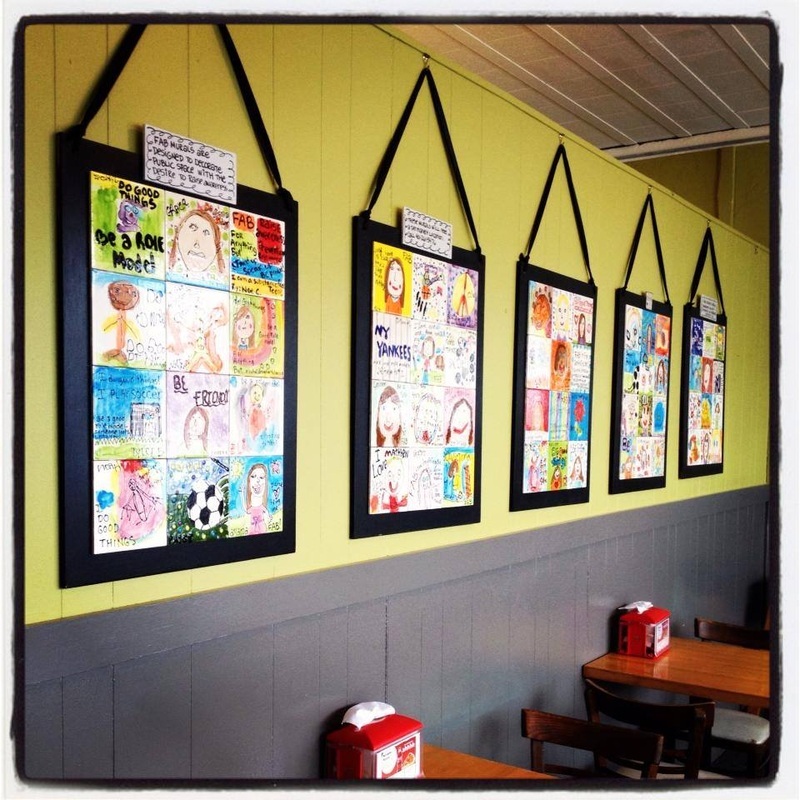 Or you can choose to use the murals for another fundraiser, parents love to buy anything with hand prints or self portraits of their children! 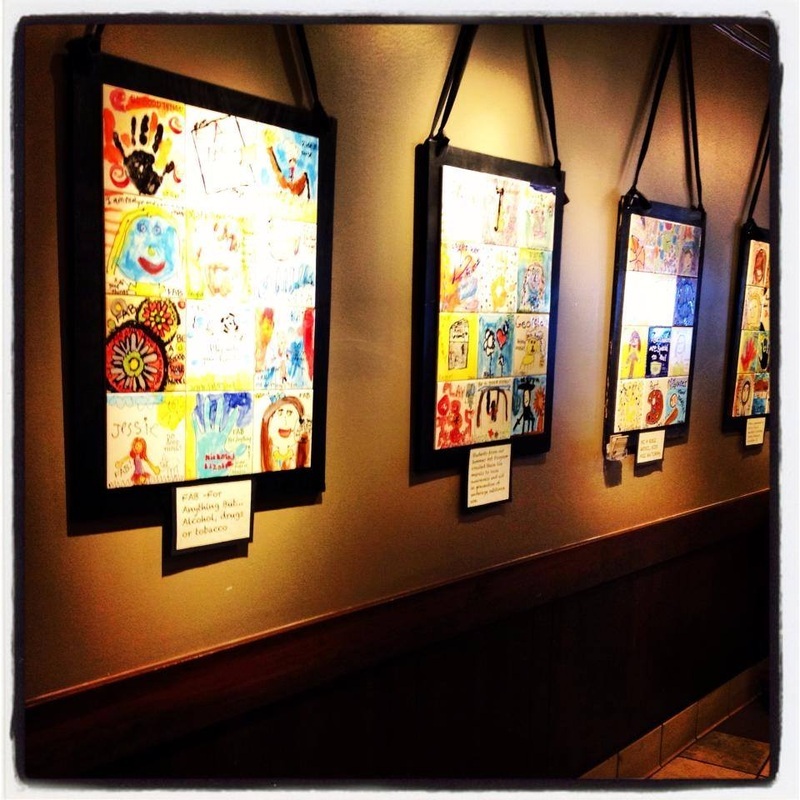 Consider adding murals to your silent auction! being a sharp contrast to the white tile back grounds on most tiles. ease of moving display if the need arises. 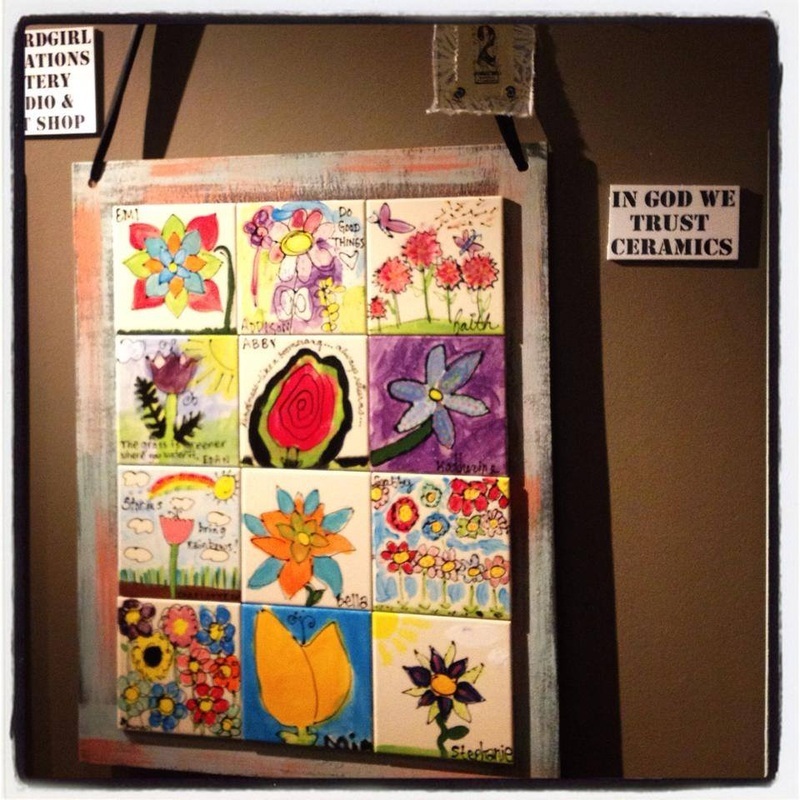 Keep us in mind for AUCTION ITEMS, either created by students or us. Call for pricing!